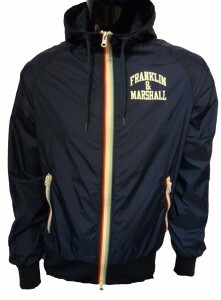 Time again to announce some more cracking deals for you all in our Franklin and Marshall Sale Event at Apacheonline. Everyone loves a bargain, especially after all the Christmas festivities and expense, so here are a few little teasers for you all to whet your appetites. This is the fabulous KNMR158W13 Shawl Collar Knitwear from the guys at Franklin and Marshall. Made in Italy, in a quality wool mix fabric and striking ski style design, this will definitely get you noticed. 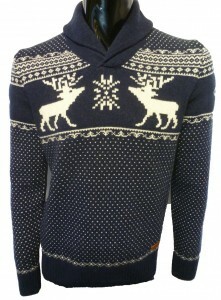 Originally priced at £120.00 you can now grab this for only £60.00 that 50% Off. Next up is the FLMR668S13 Neon Logo Sweatshirt by Franklin and Marshall. In a quality loopback cotton sweat fabric, crafted in Italy and bold neon detailing, this will keep you warm and looking good this season. Priced at £80.00, you can take 50% Off that and take it for only £40.00. Finally we have this fantastic deal for you all. This is the JKMR616S13 Hooded Nylon Jacket from the lads at Franklin and Marshall. Made in Italy from a quality nylon fabric and striking rainbow zip detailing, this is ideal to layer up to avoid those chilly spring mornings. 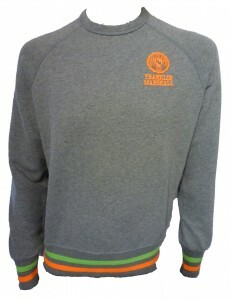 Originally priced at £90.00, we have now reduced this by 50% thats now only £45.00. Franklin and Marshall is a fantastic brand and especially when you can grab it at 50% Off. Remember, don’t delay as these bargains will not hang around too long. Also keep checking the website regularly as we are updating it everyday with all brand new Spring Summer 2014 collections not only from Franklin and Marshall, but others such as Lyle and Scott, Fred Perry, Diesel and many more. A massive thank you from everyone at Apacheonline for taking the time to read this, and if you have any comments, we would love to hear them.